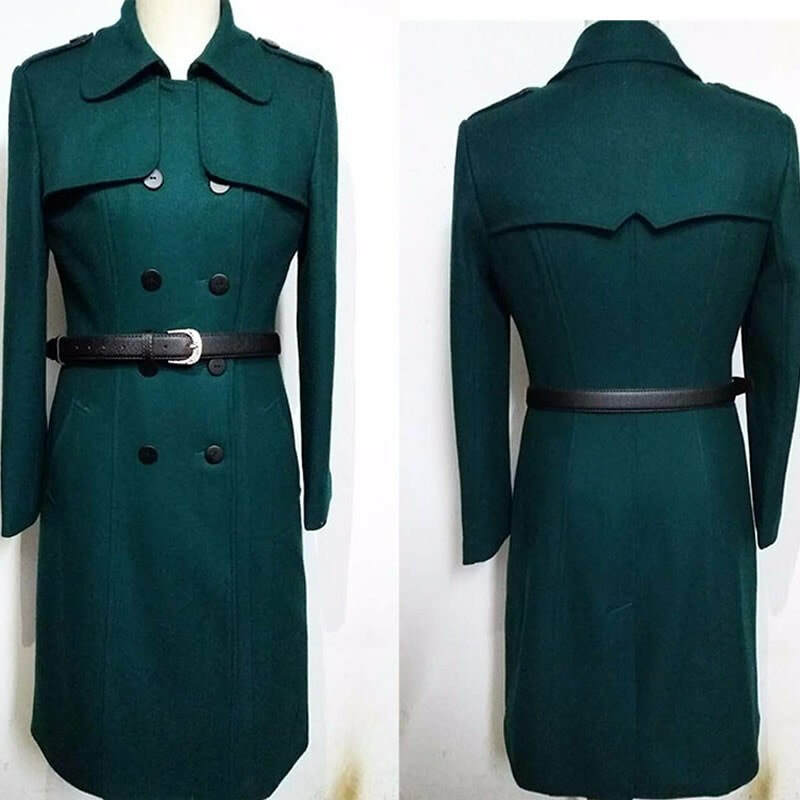 The Duchess of Cambridge looked festive in this Hobbs pine green trench coat, when she first wore it to the 2014 St Patrick’s Day parade at Mons Barracks. 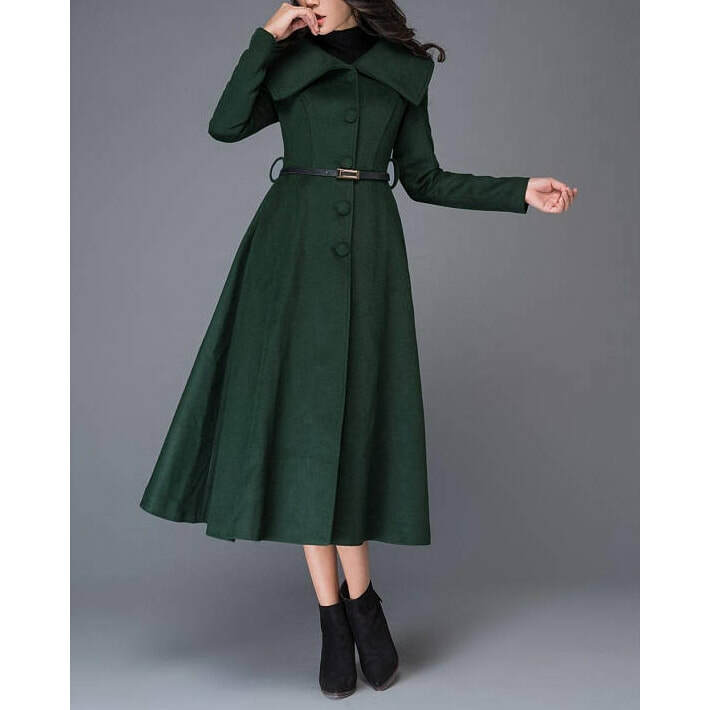 The Hobbs London 'Persephone' trench is a double-breasted coat made from a viscose/wool blend. It features a cut and sew design, raw edges, traditional storm flap and epaulette detailing. 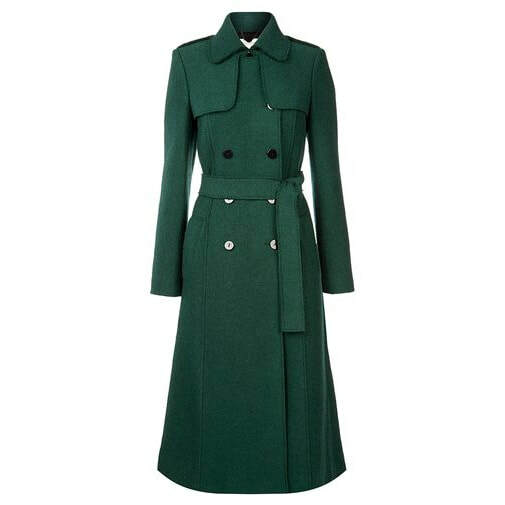 STYLE FILE of the Hobbs Pine Green Persephone Trench Coat as seen on Kate Middleton, the Duchess of Cambridge.